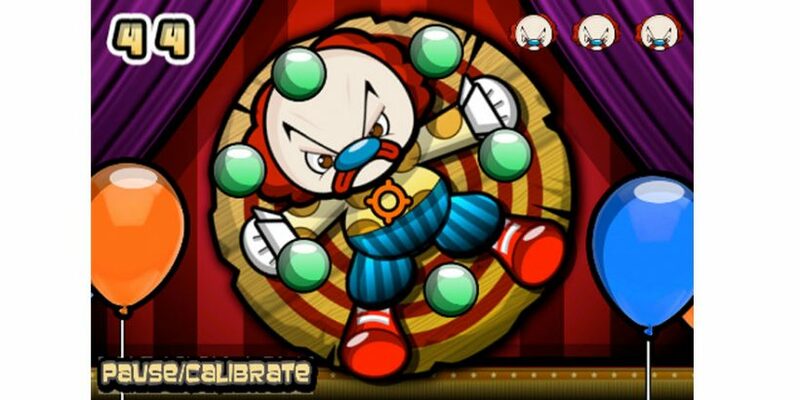 The Circus Knife Toss game is a fun engaging blade toss style game where you throw blades at balloons and avoid hitting the rotating clown. Tilt the device to aim and then tap the screen to throw away the knifes. Be sure not to miss or you will get a very grumpy clown! The tilt calibration will recalibrate when you pause the game.